Nominations for the 91st Academy Awards were just announced (eaux hai Tracee Ellis Ross), and MUCH history (and herstory) were made, especially for Black and indigenous creatives. 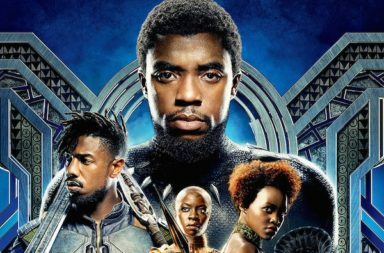 Let’s start with the billion-dollar plus juggernaut of 2018: Black Panther. While director Ryan Coogler was inexplicably passed over for director (we’re still scratching our heads about the SAME thing happening to Ava DuVernay with Selma)…Coogler’s film is up for Best Picture (!!!) a first for any superhero film. 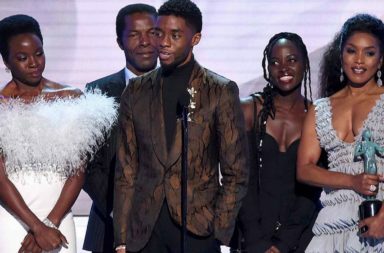 Other nods include Best Costume Design ( for the amazing Ruth E. Carter, who was previously nominated for Malcolm X and Amistad); Best Production Design (with our sis Hannah Beachler making herstory with her nomination); Best Sound Mixing, Best Sound Editing, Best Score and Best Original Song for “All The Stars” by Kendrick Lamar f/SZA, first nods for both artists. 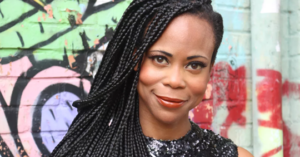 Hannah Beachler has earned her Oscar nomination for Production Design on Black Panther. Mexican director Alfonso Cuaron’s Roma leads with 10 nominations (tied with The Favourite), including Best Picture, Best Director, and another first: the first Indigenous woman to receive a Best Actress nomination for Yalitza Aparicio. Aparicio scored the nod for her first ever acting role, and was a kindergarten teacher prior to being cast in the film. 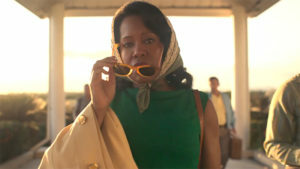 Triple threat Regina King (acting, voiceover, directing) is fresh off her Golden Globes win for her nuanced and powerful performance in If Beale Street Could Talk. Now, she is nominated for Best Supporting Actress in that role and we couldn’t be happier for her! Barry Jenkins and his DP James Laxton should have gotten respective Best Director and Best Cinematography nods this year as well, but we’re excited to see the film in the Best Adapted Screenplay and Best Musical Score categories. Spike Lee comes full circle this year with well deserved Best Adapted Screenplay, Best Picture and Best Director nods for BlacKkKlansman. He won the student Academy Award for Joe’s Bed-Stuy Barbershop: We Cut Heads in 1983. We’re still mad he was snubbed on Malcolm X, though. 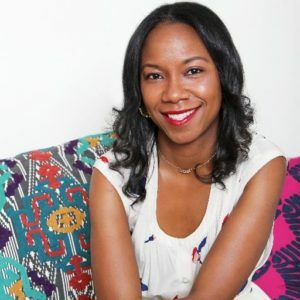 It is important to acknowledge the Black women who are also nominated for non-Black films this year: executive producer Niija Kuykendall will get to slay at this year’s show with *seven* nominations for her film A Star Is Born, including Best Picture, which -ahem- is a producer’s award. She is clearly a Hollywood starmaker, helping pop recording artist Lady Gaga cross over to earn her first nomination in the Best Actress category. This progress doesn’t happen overnight or in a vacuum. 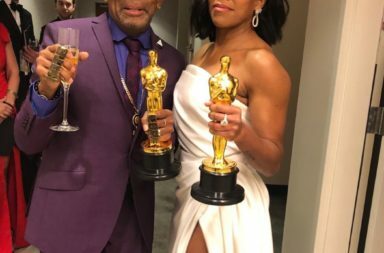 We are grateful to the Black filmmakers–including Reginald Hudlin, Stephanie Allain Bray, Lisa Cortes and Roger Ross Williams, who are now sitting at the table within The Academy, making change from within. We are hyped for the red carpet slayage all this Black excellence will bring–will Taraji P. Henson break the Internet with her look, since she is among the voices featured in the Best Feature Animation nominee Ralph Breaks The Internet? We’ll have to watch and see! The Oscars still haven’t announced a host, but the show airs February 24 at 8P EST on ABC. For the full list of nominees, click here.